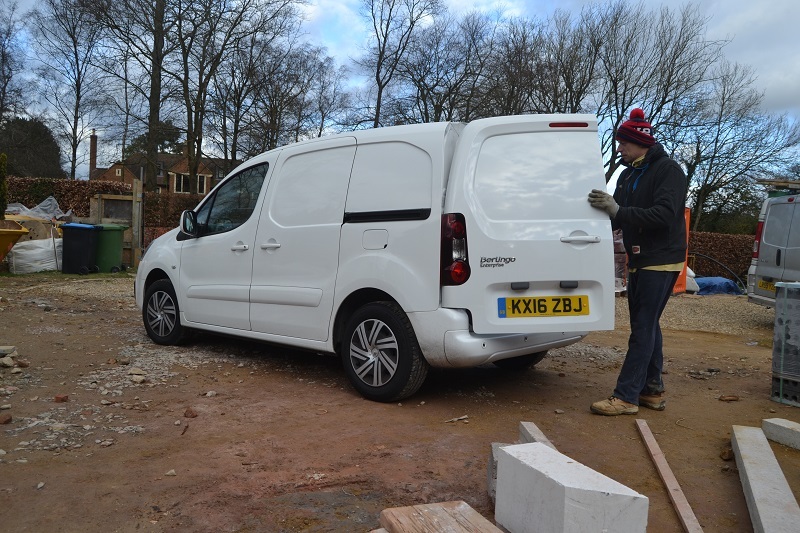 Professional Builder’s Lee Jones reviews what is now firmly established as one of the stalwarts of the small van sector. When it comes to the Citroen Berlingo the mantra from its French manufacturer for more than a decade has been ‘if it ain’t broke don’t fix it’. 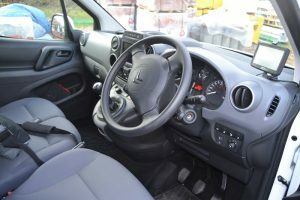 Its present incarnation as a design might date from 2008, but in what has now been nearly a decade of success, this compact LCV has maintained its position as amongst the most popular with the van buying public. In fact, for many years, it stood tall as the best-selling vehicle in the small van sector, and its continued staying power is undoubtedly a testament to what at the time were a number of industry firsts. 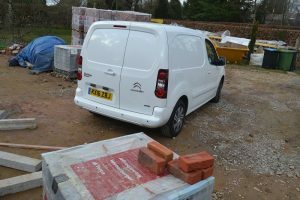 The business end of any van for a builder is in its cargo bay and with its Extenso cab concept, with folding passenger seat design, the Berlingo once led where others would follow. The system allows for longer items like ladders, straight edges or pipes to be easily accommodated, whilst across the range there’s an L1 and L2 length available. Our test vehicle is in the former category, offering a load deck length of 1,800mm. With the aforementioned passenger seat in the folded position that figure is extended surprisingly far, however, with a full 3,000mm on offer. Similarly, load volumes on the L1 are extended from 3.3m³ up to 3.7m³, whilst the L2 will house a maximum of 4.1m³ of materials and tool, with 3,250mm of length. Access is provided by a rear doors that will open to 180° and a complementary sliding nearside door. Journey further into the load area and our L1 model allows 1,230mm of space between the wheel arches and a load compartment height of 1,250mm. Payload extends up to 850kg on the L2 whilst our L1 length weighs in at 635kg. All those vital statistics make for a number of versatile options, each of which seeks to eke out the maximum space available. At the same time this resolutely remains a vehicle with the kind of compact footprint that our crowded towns and cities increasingly demand. Where the Berlingo has really scored with end users, however, and indeed continues to compare very favourably with the competition, is in some of the most frugal fuel consumption figures to be found on the market. In fact, if easing the pain at the pumps is the deciding factor in your van buying purchase then the Berlingo would be hard to beat because, along with meeting the latest Euro VI emissions targets, our BlueHDi 120 test drive model also achieves a positively parsimonious 67.3mpg on the combined cycle. With the headline forecourt figures on an upward trajectory post-Brexit, this is not an inconsiderable consideration for any builder who stacks up significant business miles in plying their trade. This is a van that has first and foremost built its reputation on a combination of value and cost of ownership for the operator, and as a consequence the driver space, although significantly enhanced from the original through subsequent facelifts, has one of the more basic feels amongst LCVs. That’s not to say that it’s not without its sophistications, of course, because the manufacturer’s Extenso box of tricks can still pull a few surprises in the cab. 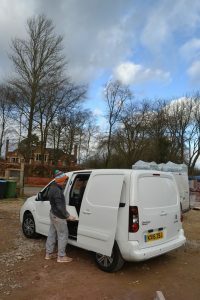 Although in truth a trio of tradesmen would be a snug fit, the Berlingo is furnished with three seats as standard, the middle of which is equipped with what will prove in practice to be the more useful function of folding down to reveal a mobile desk. There are also a number of optional extras available, including a rear camera, which is displayed on a 7in. touchscreen tablet. Connectivity on the move is serviced with voice recognition, and a hands-free function via a Bluetooth, and there’s a whole range of further goodies that come at a price to choose from, including a Touch Screen Audio Pack, half height steel bulkhead with mesh upper and roof flap. For further information on the Citroen Berlingo click here.